Hammer Nutrition is at the cutting edge of Sports Nutrition. Hammer has focused on making products using only ingredients which we believe are of benefit to the athlete. This means that our products contain no added simple sugars, colourings, preservatives and anything which is harmful to the rider’s performance. Nutritional Education is extremely important to us. We strongly believe in not only selling you the best Endurance fuels, but also backing that up with the best athlete nutritional Education and advice service in Australia. 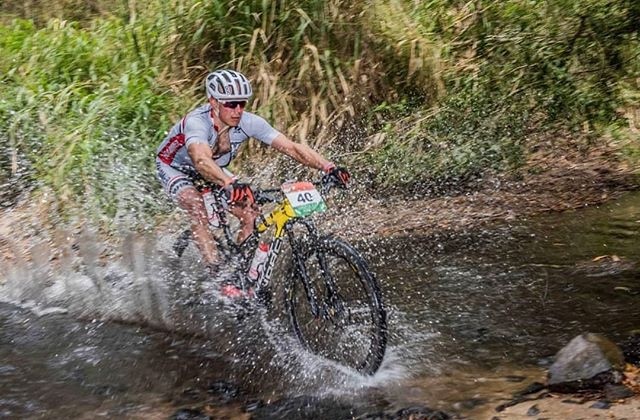 MTB racing over 100km and up to 24 hours is extremely demanding both physically and mentally. In the past allot of MTB riders have not paid enough attention to their nutrition, which has inevitably let their performance down. Hammer nutrition has put together these 6 basic topics you should know about your nutrition. Take 15 minutes to read this information and you will be well prepared to make some crucial decision that will improve your performance. Preferred fuels – Perpetuem or Sustained Energy. These products only use complex carbohydrates and contain a small amount of Soy Protein. The major difference is Perpetuem contains Lipids (type of fat). 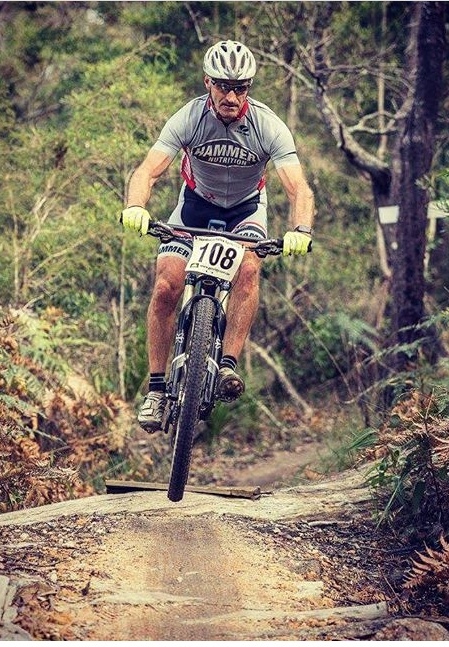 Generally Perpetuem is our first choice and will suit most MTB riders. Sustained Energy will suit the smaller leaner athletes which are able to maintain a higher heart rate. Both these fuels can be mixed into a multi hour bottle (3-5Hours). You can consume the relevant % of the bottle per hour which is the only nutrition you will require, plus your hydration (water) and added electrolytes per hour. If you are riding for more than 5 hours you can make a second bottle that can be handed to you. These products are not sweet, which allows easy consumption hour after hour without the sickly sweet taste of gels. TIP – separate your hydration from your nutrition to stop confusion. (Have 2 water bottles). Both of these can be used. Our preference is the Endurolytes (1-3 per hour) as it does not have to be mixed with water and the dosage can be increased easily. TIP – You have to be consistent with consumption every hour as electrolytes are not stored in the body. Other fuels can be used such as Hammer Bars and Hammer gels. You need to ensure that if you mix fuels that you do not over consume calories. Liquids are easily digestible. Solids will take longer to digest and will take blood away from the working muscles to digest. When taking liquids you can be almost 100% certain of how many calories you are consuming per hour (provided you don’t over consume – less than 300 cal.) Taking solids you can never be sure on how many calories are being digested per hour. Flavour fatigue can be a problem if you are racing over 12 -24 hours. Consider a variety of different fuels i.e. gels, bars. Liquids, and small meals etc. A complete diet of liquid fuels is possible to complete this event. However some may feel the need to eat something solid. If eating solids, eat small amounts of solids at one time. Avoid foods that are hard to digest, high in saturated fats and refined sugars etc.